The Offshore Personal Survival Course (2 days) is for experienced sailors who are participating in offshore and oceanic races and passages, typically Offshore Special Regulations categories 0-1-2. The course includes classroom and practical sessions. Topics covered include personal safety equipment, man overboard, emergency communications & signals, search & rescue, weather forecasts, heavy weather & storm sails, damage control & fire, hypothermia & cold water immersion. Practical, hands-on sessions include using lifejackets and life rafts in a pool environment; damage control; emergency signals. This 2 day course is Sail Canada - World Sailing Approved. Participants who successfully complete the course receive an Offshore Personal Survival Course certificate, valid for five years. Click here for the course syllabus. If you are looking for a half day or one day Safety at Sea Seminar, this is not the right page for you. Please visit the Personal Survival Training page to choose the right course. Sailors around the world take offshore personal survival training to prepare themselves and their boats. Offshore personal survival training courses are offered for sailors in many countries, including Australia, Canada, France, Germany, Great Britain, Hong Kong, Italy, New Zealand, Sweden, and the United States. Some sailing event organizers recommend or require offshore personal survival training for participating crews. World Sailing specifies offshore personal survival training requirements in section 6 of the Offshore Special Regulations, and outlines a model course in Appendix G of those regulations. 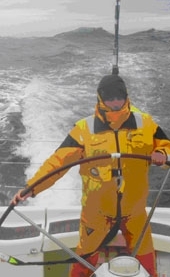 In British Columbia, the Vic-Maui International Yacht Race and the Van Isle 360 International Yacht Race require some crew members to hold current Offshore Personal Survival Course (2 day) certificates, and the Southern Straits Yacht Race, Swiftsure International Yacht Race, and Patos Island Race require or recommend personal survival training (half day, one day, two days). Last updated April 9, 2019. Please check back here occasionally for updates. The classes are popular and tend to fill up quickly. Classes are usually scheduled in the October-to-April time-frame in order to minimize schedule conflicts with sailing events. We announce in advance – below - the dates and times when registration will open. We use an online registration system with credit card payment processing. Advance registration: For some classes, we offer advance registration opportunities for crew members of boats participating in events that require this type of training. 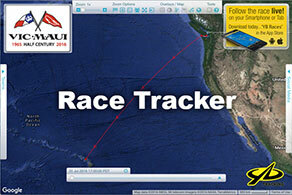 Examples include Vic-Maui, Van Isle 360. Please ask your event skipper for information about advance registration opportunities. General registration: For all classes, there is always some space available when general registration opens. Links to the online registration system are provided below, when general registration opens. The Offshore Personal Survival Course is $400.00, plus taxes, in Canadian funds. Early bird ($360.00 and/or $320.00) and renewal pricing (-25%) options are offered for most classes. When available, these options are automatically presented by the online registration system. Price includes advance material, course participation, refreshments and lunches, and upon successful completion a course certificate valid for five years. Registrations are non-cancellable and non-refundable. Transfers from one person to another may be permitted under circumstances acceptable to the organizers; transfer requests should be made in writing not less than 14 days prior to the class start date. A transfer fee may be applicable. The Offshore Personal Survival Course (2 day) has been offered in BC since 2011. Certificates are valid for five years from the class date. We do not currently offer a specialized course specifically for renewals. The standard course evolves and participant memory changes over time. New practical drills have been added, the damage control and pool drills have evolved, and refined/new content and knowledge has been incorporated. Knowledge and skills need to be refreshed and practiced to be useful when needed most. People whose training was several years ago, and/or whose certificates are expiring, should consider taking the training again. Renewals: Starting with the Fall 2016 classes, participants who have previously completed the 2 day training in BC are eligible for a 25% reduction in the registration price. Have your expired/expiring BC Sailing certificate number ready when registering, as you will need it to select this option. Upgrades: Starting with the Fall 2018 classes, participants who have previously completed a Half-Day or One-Day Safety at Sea Seminar in BC are eligible for a 25% reduction in the registration price. Have your BC Sailing certificate number ready when registering, as you will need it to select this option. You can take advantage of either a renewal or an upgrade price reduction, but not both! The Offshore Personal Survival Course (2 day) includes classroom and practical sessions. Practical sessions include in-the-pool training with bulky wet clothing, life rafts and lifejackets. Participants will enter the water in wet weather gear, swim with and without lifejackets, inflate, right and board life rafts, and assist other participants. The training is physically and mentally demanding, requires the ability to swim, and may be stressful. It is the responsibility of participants to be fit for the training. Participants who have any doubt about their ability to participate safely should consult their doctor and obtain medical approval in advance of the course. Participants will be required to sign a liability waiver - release agreement prior to participation. For the benefit of participants and event organizing authorities, BC Sailing and Sail Canada may maintain a publicly-searchable database listing participant names, certificate numbers and certificate expiry dates. Participants will be requested to sign a personal information consent form. Advance reading material will be delivered to the postal mailing address you provide during online registration. Participants are expected to review the advance material prior to the start of the course. Light refreshments (water, coffee, tea) and lunches will be provided. Offshore Personal Survival instructors are accredited by BC Sailing and Sail Canada. "Thank you so much for the certificate and for running such an informative and professional course." "I wanted to say thank you for the excellent course. I thought the course was extremely informative and was very impressed with the way it was presented." "Just wanted to thank you and the other instructors for an excellent course. Really well-organized and communicated. The hands-on exercises (cutting rigging, flares) and time in the pool were particularly valuable... could be lifesavers!" "Thanks again for the excellent course. I particularly found that the real life examples drove home some messages. … Up to that point in your course I had questioned the crotch strap concept a bit as my life jacket had not ridden up in the pool. That story really hit home."